Postage Rates And Rules Are Scheduled To Change On May 12, 2008. The U.S. Postal Service mailing rules are complex and understanding the current and new regulations is vital. 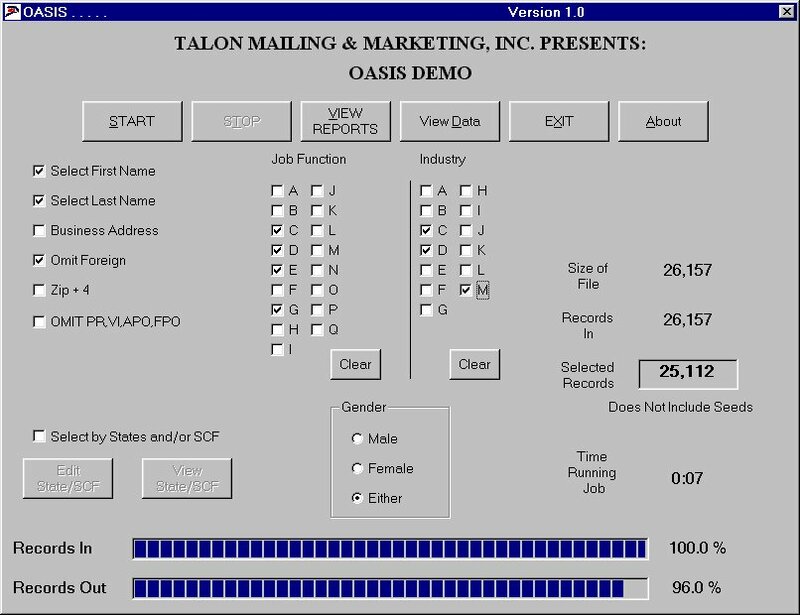 Working with Talon means your mailing pieces will be automation compatible and you will pay the lowest possible postage rates. 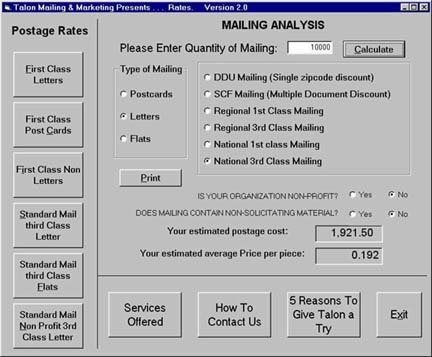 As we get closer to the rate changes, Talon as always, will offer a free postage software calculator that we designed and developed in-house. This software is a great tool to estimate mailing costs. 1) The price of a non-sorted, first class, non automated, single mail for one ounce or under goes to 42 cents, from 41 cents. 2) The single-piece additional ounce price for first-class mail (17 cents) is not changing, and the price for presorted first-class mail is being lowered. 3) Additional-ounce price for presorted first-class letters is going lower, and big mailers get a lower pound price for standard-mail saturation and high-density flats. • First-class letter (1 ounce): 42 cents. • First-class letter (2 ounces): 59 cents. • First-class large envelope (2 ounces): $1. Under the new and ever-changing rate structure, choosing the right mailing services is more important than ever. For example, using electronic rather than paper-based address correction for your mailing lists will save money. Also, lower costs for electronic return receipt mail saves money over certified mail. • USPS.com/prices is a special Web page on the USPS site devoted to pricing information. 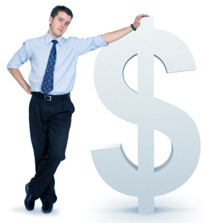 From this page, you can download complete pricing files in PDF format. These include separate breakdowns for all the different shipping services, such as express mail, commercial priority mail, parcel post, parcel return, media mail and others. For online rate tables, go to USPS.com/rates. • Pitney Bowes, the postage meter and mailing services company, offers a wealth of helpful information on its Web site, including money-saving ideas. From the home page at www.pb.com, click on the "New Postal Rates" box on the right. From there you can check details of how price changes affect business mailers. Click on "Ways to Save on Postage Rates" for tips about cutting costs. Don't let the postage increases slow down growing your business. The new rates are only an increase of approximately three percent, well below the rate of inflation. Direct mail has always been and still is a cost-effective way to communicate with customers and prospects. Using this medium, there are so many ways to show and tell consumers and prospects who you are and what your business offers. You can use it to promote interest in a new product or service, generate leads and orders, drive traffic to your store or Web site, thank customers for their business, build brand recognition. Perhaps what's best about direct mail is that this can all be accomplished while you perform comprehensive analysis to determine how well and how profitable your mailing promotions are. Tips For Creating Powerful "Tell All" Brochures. A brochure should not be an illustrated version of your letter. As the saying goes, "The letter sells. The brochure tells." A brochure should not be an illustrated version of your letter. Your letter is a sales pitch, meant to be read generally in sequence from beginning to end. It should make a personal, emotional connection. And it should make a promise and ask for the order. Your brochure, on the other hand, is factual support for the letter, meant to be scanned or read in any order. It is less personal. It should illustrate features, list benefits, provide proofs, make comparisons, and list technical details to lend credibility to what your letter claims. As the saying goes, "The letter sells. The brochure tells." Make a visual impact. If your letter has done its job, your prospect should be saying, "Sounds good. Show me." Illustrate the use of your product, its benefits and results. Show how your promise will be fulfilled. Use photos, illustrations, diagrams, charts, tables, and other visual aids. Make the brochure readable. Use design to draw the reader into the copy, not to call attention to itself. Use a serif typeface. Indent paragraphs. Avoid large blocks of italic or reversed type. Divide your copy into short sections. Highlight important items with borders, boxes, and color. Use bullet lists for miscellaneous or technical information. Use headlines to tell a complete story. Instead of empty headlines and subheads, such as "Why customers love Yahoo Widgets," use specific and complete sentences, such as "You'll love Yahoo Widgets because they last longer and cost less." Some people will only scan the headers, so make sure they get the gist of your message at a glance. Start strong on the cover. A brochure isn't a stage show where you have to wait for the curtain to open before the drama begins. Put a big benefit in your main headline right on the front cover. Use secondary headlines for secondary benefits. 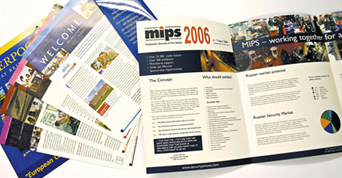 Then use copy and graphics to lead your reader through the rest of the brochure. Develop your big benefit immediately. Use your first few sentences to summarize what the rest of the brochure will detail. This will help readers understand what is to follow. And it will help scanners by putting most of the important ideas up front. Highlight the benefits and list the features. Benefits are what sell. And every important benefit should be highlighted, perhaps with subheads and detailed copy. But don't forget the features. Some people make final decisions based on what features are or are not included, so don't leave out anything. Restate the offer clearly. Have you presented a persuasive pitch for the offer in your letter? Good. But since the brochure's purpose is to support the letter, you must restate the offer. Illustrate it. Detail it. Dramatize it. Include premiums, deadlines, toll-free number, and ordering instructions. Feature a strong guarantee. A guarantee reduces the fear of getting stuck with a lemon and increases confidence in your company. It's one of the few techniques that almost always boosts response. Use it. Group your testimonials. Testimonials support your claims. But they also engage the bandwagon effect — lots of people use your product or service, so it must be desirable. Sprinkling testimonials around your brochure diminishes this effect. Use the most effective selling format. If you want to make a big impression, use a broadside. If you have a long story to tell, use a booklet. If your offer is simple, use a flier. Select the format based on what is needed for a particular promotion, not on arbitrary design specs. Include all vital data. In addition to benefits, features, offer, and everything else already mentioned, don't forget your company name, address, phone, fax, e-mail, Web site, regional offices, contacts, location maps, etc. Test your package with no brochure. An envelope implicitly says, "There's a letter inside." So you must have a letter. However, you don't necessarily need a brochure. In fact, some promotions often do just as well (or better) without one, including lead generation and simple offers for well-known brands or easy-to-understand items, such as newsletters, magazines, or informational products. Dean Rieck is a leading direct mail copywriter who has created direct mail, ads, sales letters, e-mail and online marketing, and radio advertising for more than 200 clients. For more tips on direct mail and direct response advertising, sign up for Dean's free direct marketing newsletter. Thursday May 1st, Yankees vs. The Detroit Tigers 7:05 PM. Wednesday April 9th, Mets vs. The Philadelphia Phillies 7:10 PM. Postage Rates & Rules Scheduled To Change On May 12, 2008.
politico.com - Covers political news with a focus on national politics, Congress, Capitol Hill, the 2008 presidential race, lobbying, advocacy, and more. ireport.com - New beta site for uncensored, user-powered news. CNN built the tools, you take it from there. ivescrewedup.com - Another website for confessions. dailyconfessions.com - Still another confession site. Confess your sins in complete anonymity. Tell the whole world what you did! Get it off your chest.